A few photos of the main living area in my apartment, which I'm still rearranging constantly because I can't help myself. It feels mostly complete, and definitely cozy. The new chartreuse velvet couch was won at an Anthropologie silent auction last week and makes a good buddy for my other velvet couch. Is there such a thing as too much velvet? Maybe don't answer that. Now I just need a few more giant plants in here and I'll be good! 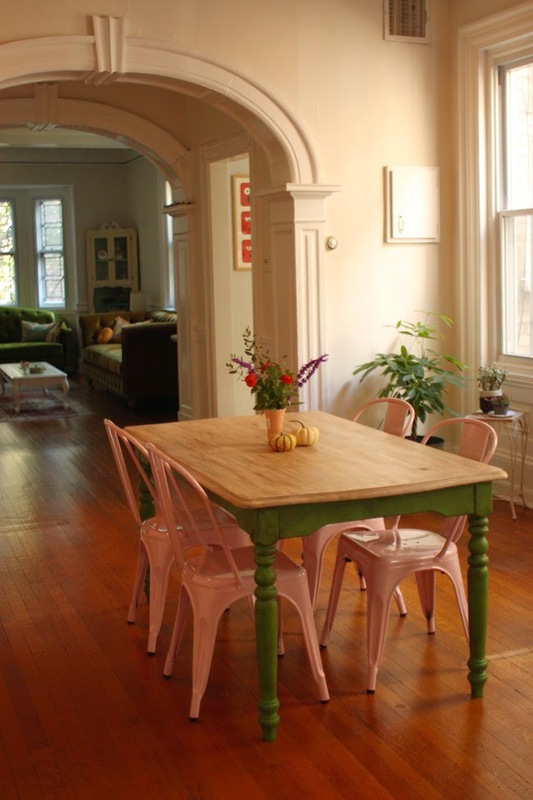 oh my gosh your apartment is 100% perfect. Every detail is so wonderful. Your decorating style is just the best. What a lovely living space! 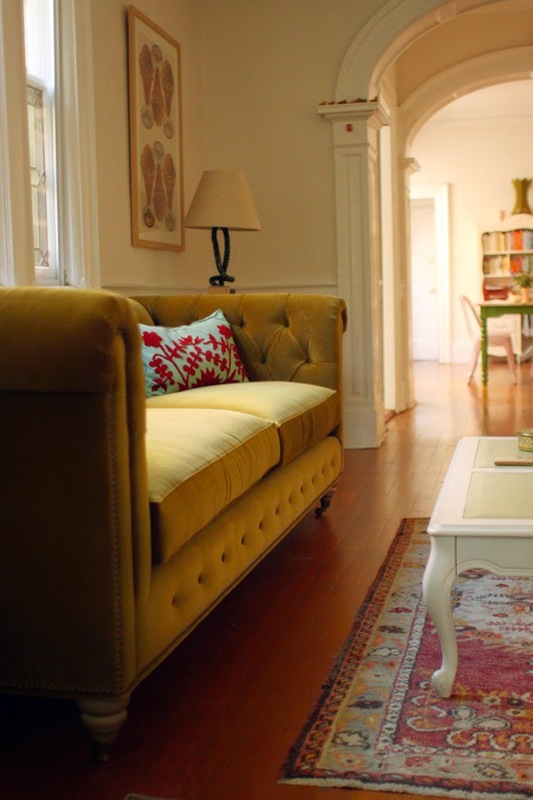 You have an excellent knack for pairing vintage-y finds. There is no such thing as too much velvet. 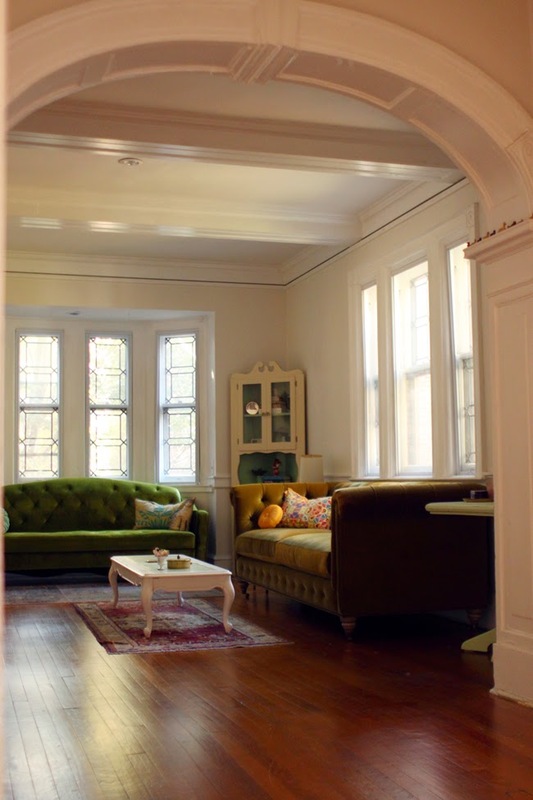 I love how elegant and gracious your apartment looks! There's such a sense of warmth and openness and light. Unfortunately, I'm stuck in a rather subpar space right now, but your apartment is definitely inspiring me to try to make a little more out of mine. Wow! The place is so elegant! 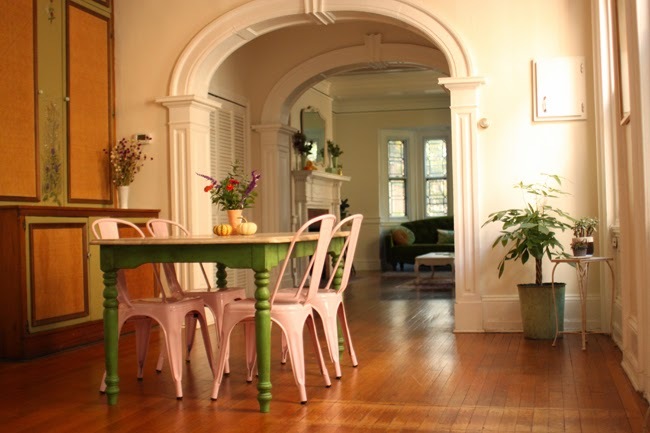 I love the archways and how your furniture looks so at home there! 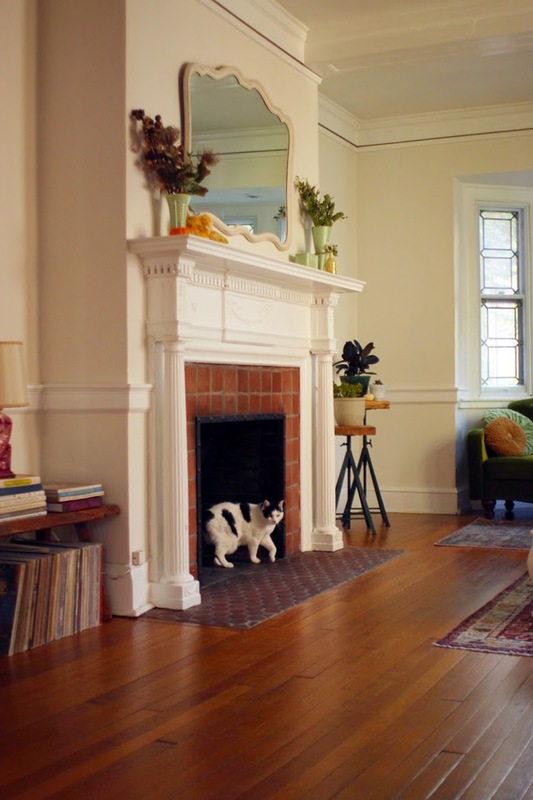 I'm dying over that fireplace and bay window! This is exactly why I want a house, just so I can have the excuse to decorate! Yours is so gorgeous!! 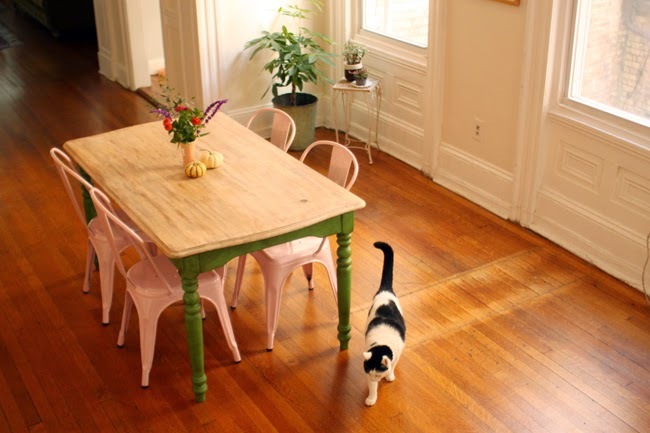 That kitchen table and those salmon pink chairs are perfect! So unique! You have the most amazing apartment. Your taste in general! Seriously drooling. Your apartment is everything I wish mine could be! And no, there is no such thing as too much velvet!